Patriots fans are still shocked following the 27-24 come-from-behind victory against the Steelers Sunday. Considering the stakes, was yesterday’s 27-24 Patriots victory the craziest regular season finish of the Tom Brady-Bill Belichick era? A loss would have dropped New England to 10-4, creating a very real scenario in which it would have to play on wild-card weekend for the first time since 2009. Instead, the Patriots are 11-3 and own the tiebreaker with the Pittsburgh Steelers for the No. 1 overall seed in the AFC. Assuming New England holds serve against the Bills and Jets at home in each of the next two weeks, all roads will lead to Foxboro prior to Super Bowl LII in Minneapolis. Tom Brady and Rob Gronkowski’s performances on the Patriots’ final drive (excluding the kneel down) were superhuman, setting up an 8-yard touchdown run for Dion Lewis that stood as the game-winner with 56 seconds left. But the JuJu Smith-Schuster 69-yard catch and run? The Jesse James non-touchdown? Ben Roethlisberger’s fake spike gone horribly wrong? It was all part of an action-packed final minute of a game that lived up to its billing as the game of the year in the NFL. Now that a few hours have passed, what do you think? 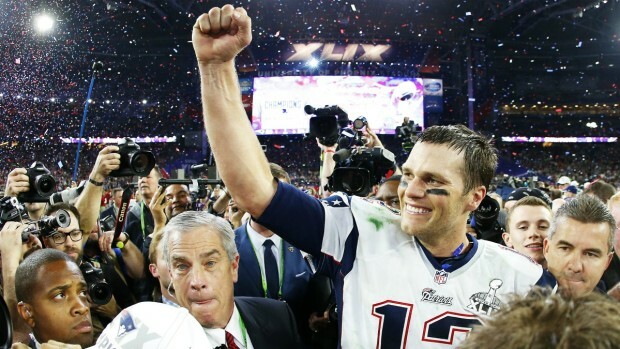 Was it the best finish to a regular season game involving Tom Brady and Bill Belichick? Here are a few other memorable finishes the duo has been involved in through the years to help you decide. The unbeaten Patriots (8-0) were going up against a barely above .500 Giants team (5-4). Sound familiar? Even in the aftermath of New England’s Super Bowl XLIX victory, the pair of giant losses to New York in Super Bowls XLII and XLVI loomed large heading into this rematch of sorts. This game had it all: an 87-yard touchdown catch for Odell Beckham Jr., countered by Rob Gronkowski’s 76-yard touchdown catch later on in the game. There were three lead changes in the fourth quarter, including two in the final 1:47. Tom Brady and the Patriots took over at their own 20-yard line, down 26-24, with no timeouts to work with. Julian Edelman had left the game with an injury, forcing Brady to target Aaron Dobson (!) four times on the final drive. The Patriots gained no yardage on their first three plays, but after Brady connected with Danny Amendola on fourth-and-10, the rest was a formality... right up until things stalled out on the outer reaches of Stephen Gostkowski’s field goal range with 6 seconds on the clock. While Gostkowski’s career field goal percentage (87.5) is third-all time, 10 spots ahead of Adam Vinatieri (84.5) on the NFL’s all-time list, Gostkowski had never come even close to matching his predecessor’s kicking abilities in the clutch. No more. Gostkowski tucked a 54-yard field goal just inside the left upright with 1 second left on the clock to get the Patriots out of the Meadowlands with an ever-so-slight modicum of revenge against the Giants in what remains his finest moment as a kicker. Things were getting antsy in Foxboro in 2013. Winning in the regular season was still no issue, but it had been nine years since the Patriots last hoisted the Lombardi Trophy. And Tom Brady’s supporting cast was perhaps as weak as it had ever been. This game a perfect microcosm: Rob Gronkowski was injured, Aaron Hernandez was gone, and Danny Amendola – signed in the offseason as Wes Welker’s replacement – had two catches for zero yards vs. New Orleans. Yet even with a depleted receiving corps, even after throwing an interception with 2:16 to go in the fourth quarter down 27-23, Brady managed to engineer one of his most improbable game-winning drives. The Patriots defense forced the Saints to punt after Brady’s pick, allowing New England one last shot at redemption. Back at its own 30-yard line with 1:13 to go in the fourth quarter and no timeouts, Brady went to work. He completed passes to Julian Edelman, Aaron Dobson and Austin Collie – Collie coming up with a 9-yard grab on fourth-and-4 to extend the drive, completing the masterpiece with a 17-yard touchdown pass to Kenbrell Thompkins in the corner of the end zone with 10 seconds left. 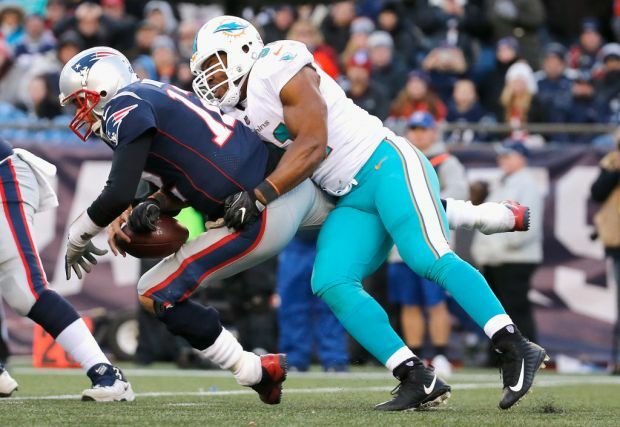 Troy Brown discusses Tom Brady's problems against the Dolphins, including Brady's bothersome Achilles and constant pressure from Miami's vaunted front four. Pierre Thomas fumbled the ensuing kickoff to hand the Patriots a 30-27 victory over the Saints, which was probably only the second-most exciting game involving a Boston sports team that day. David Ortiz hit his famous grand slam against the Tigers a few hours later at Fenway Park, propelling the Red Sox to a 6-5 victory in Game 2 of the ALCS. Troy Brown answers fans' questions. This week he answers, "Do You have Tom Brady as the league MVP?" After missing the final 15 games of the 2008 season with a torn ACL, Brady made his return on Monday Night Football in Week 1 of the 2009 season against the Buffalo Bills. He did show a little bit of rust, throwing one interception, though Brady quickly redeveloped his chemistry with Randy Moss (12 catches, 141 yards) and Wes Welker (12 catches, 93 yards). But after Fred Jackson’s 10-yard touchdown catch with 5:32 left in the fourth quarter, Buffalo took a 24-13 lead, seemingly on the brink of its first win at New England in the Brady era. Of course, these were the Bills. Brady had little trouble getting the Patriots back within a score, connecting with Ben Watson from 18 yards out to pull within 24-19 with 2:10 left. Buffalo kick returner Leodis McKelvin inexplicably took the ball out of the end zone rather than settle for a touchback and in classic Bills fashion, fumbled after being stood up by Brandon Merriweather, enabling Pierre Woods to force a fumble that was recovered by Stephen Gostkowski. Three plays later, Brady hit Watson in the end zone from 16 yards out to give New England its first lead of the night with 50 seconds remaining. Buffalo couldn’t score once it got the ball back. Even if they had, Brady still proved he’d be just fine post-ACL surgery. This wasn’t a particularly strong Baltimore team in Brian Billick’s final season thanks to an offense led by a washed-up Steve McNair and later Kyle Boller under center, but look at some of the names on that defense: Ray Lewis, Ed Reed, Terrell Suggs, Bart Scott, Haloti Ngata, Chris McAllister... it’s no wonder the Patriots fell behind after leading 3-0 and wouldn’t retake the lead until the final minute. The pressures of the perfect season were starting to add up. Throwing out a 56-10 laugher against the Bills, two of New England’s last three games leading up to this one had involved a 24-20 comeback win over previously unbeaten Indianapolis on the road and a 31-28 win over Philadelphia at home. The 2007 Patriots were done blowing teams out, and that was apparent on this Monday night in Baltimore. After a punt, New England had the ball at its own 27-yard line and 3:30 on the clock, trailing the Ravens 24-20. The Ravens imploded, committing three defensive penalties on the drive – one an unsportsmanlike conduct call against Scott on the same play Brady found Jabar Gaffney for an 8-yard touchdown pass with 44 seconds left. Billick also called a timeout from the sidelines early in the drive that nullified a stuff of Brady on fourth-and-1, and the Patriots benefitted a bit themselves from Russ Hochstein’s false start on another fourth-and-1 blowup by the Ravens that was immediately voided thanks to the penalty. And still, Baltimore nearly pulled off the impossible. As time expired, Boller unleashed a Hail Mary that was somehow caught by Mark Clayton for a 52-yard gain despite five Patriots in the area. The only problem was... Clayton caught the ball at the 2-yard line. With no time left on the clock, New England secured the win to improve to 12-0 on the season. There had to be a Tom Brady-Peyton Manning game on here somewhere, right? The Patriots raised their Super Bowl XXXVIII banner on opening night in 2004 against the Colts, whom they’d defeated in the AFC Championship Game the year before. New England held a 27-24 lead over Manning and the Colts, who were well within Mike Vanderjagt’s field goal range at the Patriots’ 17-yard line with 49 seconds left. On third-and-8, Manning was sacked by Willie McGinest for a 12-yard loss, pushing the Colts back to the 29-yard line and making Vanderjagt’s attempt to tie the game a 48-yarder. Vanderjagt, who Manning once referred to as an “idiot kicker,” lived up to his billing by missing the kick – snapping his then-NFL record streak of consecutive field goals made at 42. Is it a coincidence that Manning’s only Super Bowl victory in Indianapolis came after it replaced Vanderjagt with Adam Vinatieri? Draw your own conclusions. It was a game of firsts for Tom Brady: his first career touchdown pass, his first career 300-yard game, and his first career comeback. Despite holding a 16-13 lead entering the fourth quarter, San Diego jumped ahead 26-16 with 8:48 left. An Adam Vinatieri field goal got the Patriots within a score, but Brady still needed to produce a touchdown. No problem there. Getting the ball back at its own 40-yard line with 2:10 to go, Brady completed three passes to Troy Brown and another to David Patten to get New England down to the Chargers’ 3-yard line. With 40 seconds left in regulation, Brady hit Jermaine Wiggins in the end zone in rainy Foxboro and tied the game on Vinatieri’s PAT. San Diego kicker Wade Richey missed a 59-yard field goal as time expired, sending the game to overtime. The Chargers received the ball but were forced to punt, setting the stage for Brady’s first game-winning drive that ended with a Vinatieri 44-yard field goal.